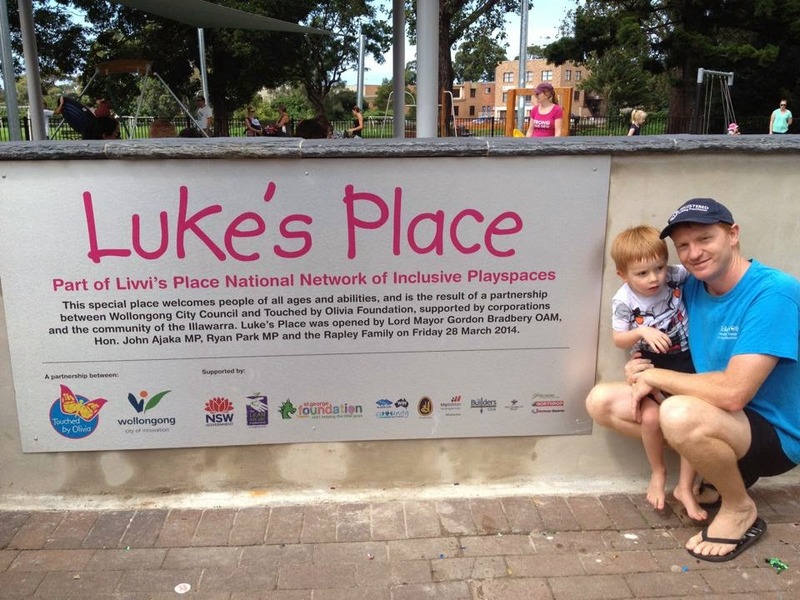 On March 28, 2014, we celebrated the opening of Luke’s Place, the first inclusive play space in the Illawarra to join Touched by Olivia Foundation’s Livvi’s Place National Network of Inclusive Play Spaces. 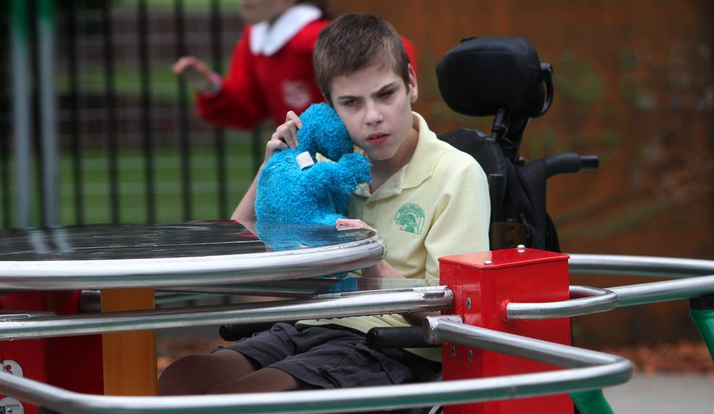 Luke’s Place began with a simple dream: To live in an inclusive community, where my son and other people living with disabilities, can participate, contribute, and be valued. Our son Luke has shown us there are many barriers to people living with a disability, that prevent them from achieving this dream, a dream that many of us take for granted. 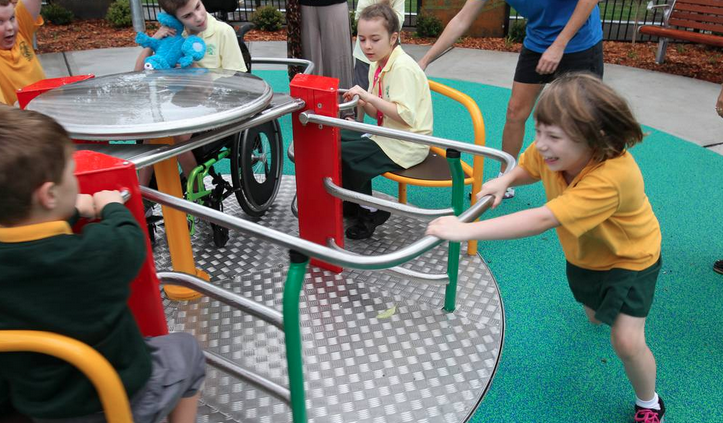 It was nearly 24 months ago, that we volunteered to become the Community Driver for the Touched by Olivia Foundation, after seeing their inspiring mission to create an inclusive play space network throughout Australia. Through play, children learn and develop their social skills, participate, and make friends. These skills and relationships are crucial to their development and their ability to go forward and live a meaningful life. 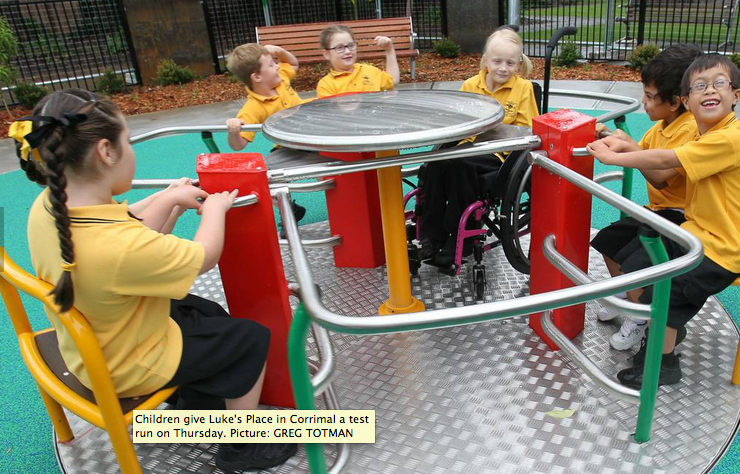 Without an inclusive play space, children with challenges like my son Luke, are denied these opportunities. We have met and worked with many amazing people and organisations over the past 24 months who helped turn our dream into a reality. I would like to thank our key sponsors:Lean On Me Foundation, St George Foundation, Primary Club, Illawarra Coal,Bluescope/WIN Community Partnerships Program, Master Builders Club, Northrop Engineers, Disability Trust, and Interchange Illawarra. There were also many fabulous community volunteers that helped make it all happen, including the Webb Family and Belinda Harding. In a sense, the whole event could not have come together without the valuable assistance, guidance and financial support of our project partners, Wollongong City Council. 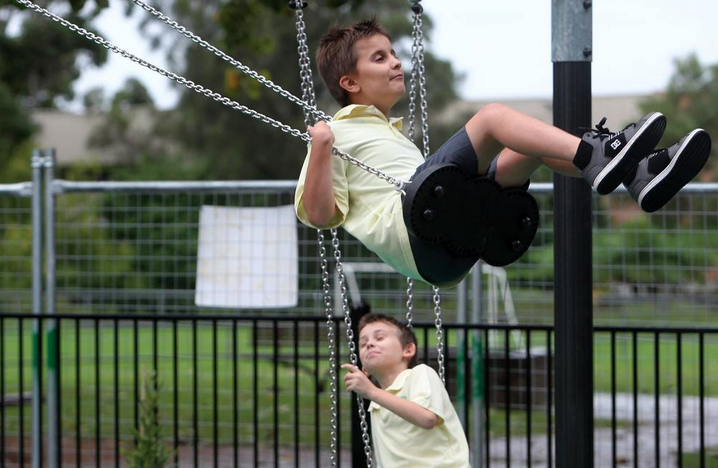 We hope you can all come and play with us at Luke’s Place, Corrimal Memorial Park, Corrimal.